Read with Me Bible for Little Ones by Dennis Jones is an incredibly cute! I love that it's designed for kids 4-8 because all three of my girls fall within that range and absolutely loved this book. I love that it's a board book because those seem to last in our house. The illustrations are vibrant and fun. This Read with Me Bible for Little Ones by Dennis Jones makes the perfect bedtime book and I love that the stories are short and easy for kids to understand. It's the perfect way to send kids off to sleep! 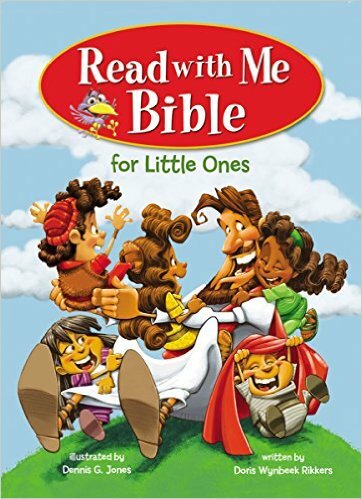 You can find Read with Me Bible for Little Ones by Dennis Jones on Amazon, Barnes and Noble and other bookstores.